Part-time Uber and GrabCar drivers must declare their earnings to the Inland Revenue Board, said its chief, Sabin Samitah. 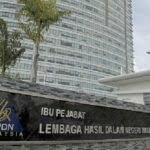 If earnings from providing the service, coupled with fixed income exceed the minimum threshold of RM30,000 a year, they were subjected to taxation, he said. “The income (from Uber and GrabCar) must be declared as additional income in Form B,” he was quoted as saying by The Star Online. Sabin said these ride-hailing applications were fully computerised, which would allow tax department to obtain the list of drivers and the amount of their earnings. He said IRB could also get information of an individual’s income through banks when they purchase a property or vehicle.